A guide to how the mother and baby's bodies change and cope with labour - the most challenging and potentially dangerous phase of pregnancy. In the weeks leading up to birth, the mother's body adapts to make the baby's journey as smooth as possible. 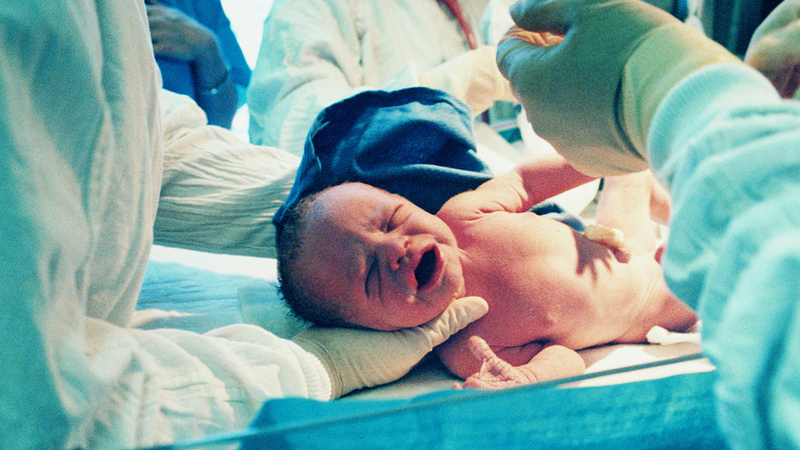 A baby's journey down the birth canal can take over 18 hours. Contractions are rhythmic muscle spasms in the uterus which cause the cervix to open gradually or dilate. A newborn's skull plates are not yet fused together, allowing it to squeeze through the mother's pelvis unharmed. Birth is the culmination of nine months of pregnancy. But the hours of labour are among the most physically challenging and dangerous the mother or baby will ever experience. In the weeks before the birth, the mother's body adapts to make the baby's journey as smooth as possible.